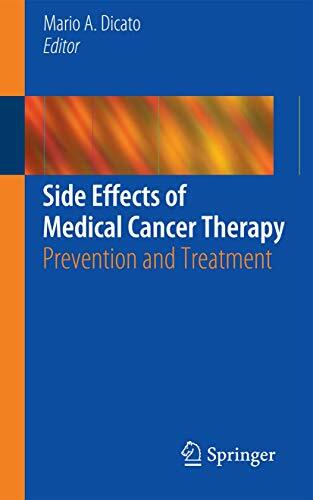 Synopsis: This book is a comprehensive handbook designed for quick reference by medical oncologists on the side-effects of cancer therapy drugs, including the chemotherapeutic drugs. Organised by organ system, it will list the toxicity, side-effects and measures of prevention pertaining to each type of drug used in cancer therapy. The most dangerous side-effects will be given priority so as to alert the reader to their importance. 2. 25 Jahre Handwerkskammer zu Berlin 1900-1925 Überreicht vom Vorstand. Vorw. v. Karl Lubert. 3. Side Effects of Medical Cancer Therapy.